The best way to ruin a story is to overthink it. Sometimes I'm guilty of this and it frustrates me to no end. This is what happens: I'm usually away from the office or without my trusty laptop. An idea comes to mind. I spin it around and begin tinkering with it. Characters appear and I imagine the structure, the shape, the form of the story. 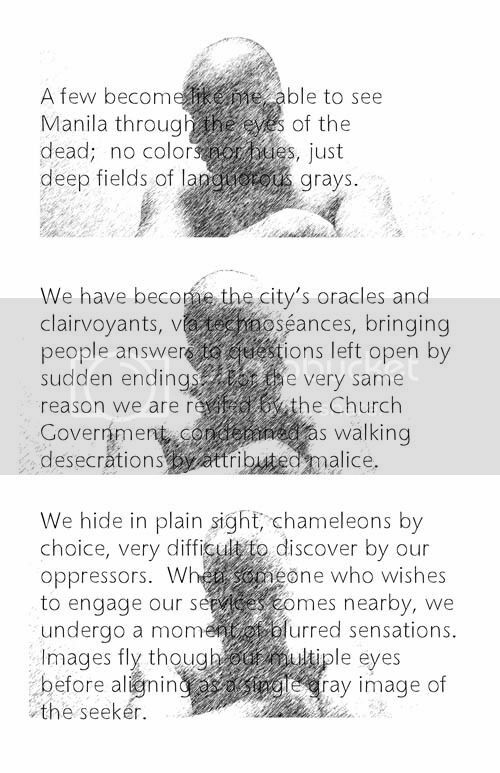 I begin to write scenes in my mind, playing around with plot and other discourse elements. Soon, the story has become complicated and practically done in my head. The only thing left is to actually set it down. So when I get time with my laptop, I attempt to write it down - and either get irritated with the story (because I am reduced to transcribing something, yes, even if I "wrote" it) or I get bored with it (because the story no longer holds any discoveries or surprises, which are part of the creative process). I end up with a polished first paragraph and not much else. Dialogue becomes stilted (because I cannot recapture the sound and flow of what I envisioned and heard earlier) and it becomes an exercise in futility. When this occurs, the writing time is spoilt and the story simply cannot be written. What I do is walk away from the story and start something new. Often, this works for me; I am able to write something impromptu and take joy in the discovery of characters and what they end up saying and doing. I'm not saying "Do not plan out your story". But I find that it's better to leave some space for your story to breathe, to explore the lacuna and odd bits that are not so easily rationalized or ironed out. There are times when I'm sitting in front of my laptop, happily typing away, when I focus on a plot point or something and end up overthinking things. When this happens, I end up with something "precious", something that sounds contrived and oh-so obviously structured. I believe in structure, of course, but normally prefer that it does not draw attention to itself (I've written stories based on odd structures that do draw attention to themselves, but these are deliberate). If I could write in the following way most of the time, I'd be a happy man: start with an idea and get "into the zone", just writing, not editing for grammar or content or style (because all of that can be done in the editing pass). When this happens, I write for hours without stopping (and, sadly, growl at any noise or disturbance generated by wife or daughter). The only time I stop is when I become aware that I'm writing crap or when my shoulders ache or when my fingers cannot reasonably catch up with my thoughts. When I read over what I've written in this mode, I'm usually happy (though, I must confess, also sometimes baffled by what the hell I was trying to do). Failure to prepare is preparation for failure - but only to a certain degree, in terms of writing. I must have something to write about (Charlson Ong told me that there's no such thing as a writer's block, only a lack of subject matter), a sense of where the story wants to go and a possible structure. The rest of the process is discovery. Years ago, inspired by the efforts of Marco Dimaano (Angel Ace, KIA), Carlo Vergara (One Night in Purgatory, ZsaZsa Zaturnnah) and Arnold Arre (Mythology Class, Trip to Tagaytay), I decided I wanted to write my comic book. I scrimped and saved money (which wasn't too hard then, during my salad days as an expat in Hong Kong) and wrote a 3-issue script. It was called "The Lost" and was about fictional characters who step off the pages and into reality. Arnold Arre did the wonderful interior art, Carlo Vergara did the covers, Marco Dimaano did the back covers, and Nikki Alfar wrote the backup stories for each issue. (*Looking back now at that roster, I'm quite stunned that we got those three talented artists, each of whom went on to produce more amazing work). 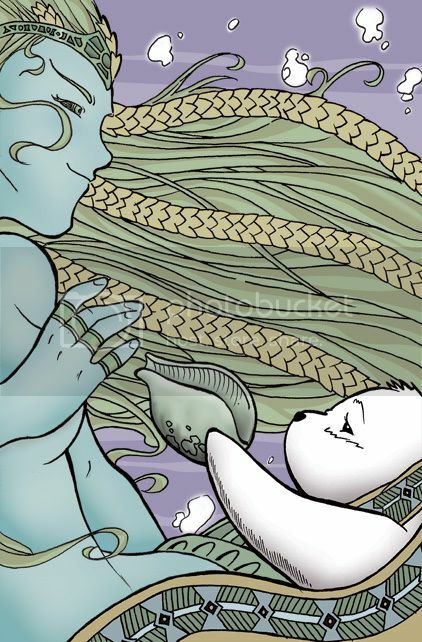 We came out with the first two issues - then I left Hong Kong, set my own company, had Sage and basically didn't have the cashflow to support publishing comics anymore. For a long time, Lost#3 remained complete but unpublished I always told myself that someday I'd save enough money to print a trade paperback, collecting issues 1 & 2 plus the unpublished issue 3. But other more exciting creative opportunities presented themselves. One evening, the comics gang got talking (like we used to do) and in a short time we'd conceived of Siglo: Freedom (which was wonderful to do and went on to win the National Book Award for Best Comic - but's that's another story). A year or so later, we were working together on Siglo: Passion (which was a true test of determination - it wasn't easy - but also went on to win the National Book Award; but is also a different story). 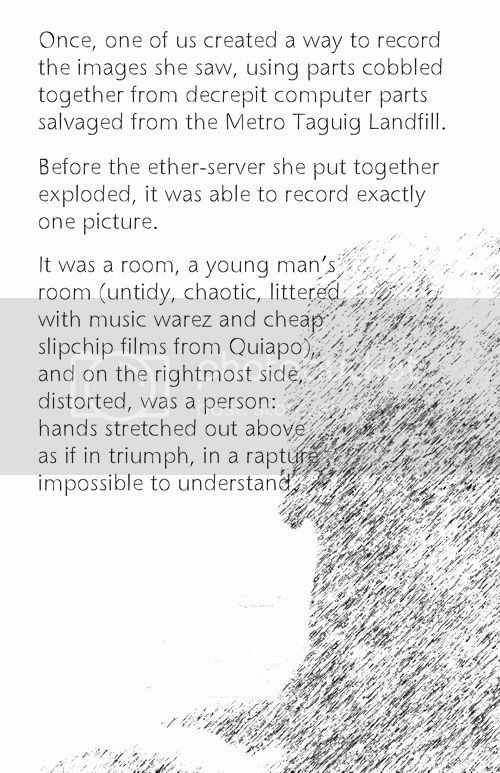 In between the two Siglos, my personal interest in writing comic books was on the wane, eclipsed by my gradual road-to-Damascus realization that what I really wanted to write were stories of wonder and the fantastic, in prose. 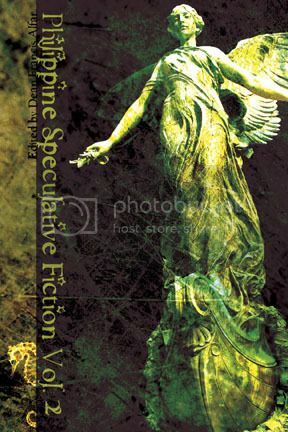 In other words, speculative fiction. 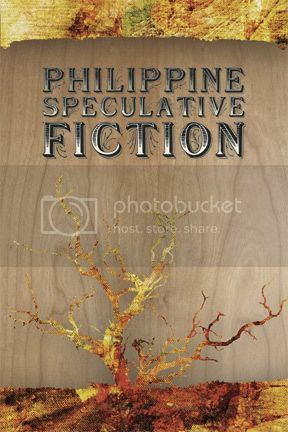 Writing stories and developing the Philippine Spec Fic anthos devoured my time, and my life happily revolved around the literature I love to read and write. Then recently, I heard that a local publisher was looking for a comic book property to publish. 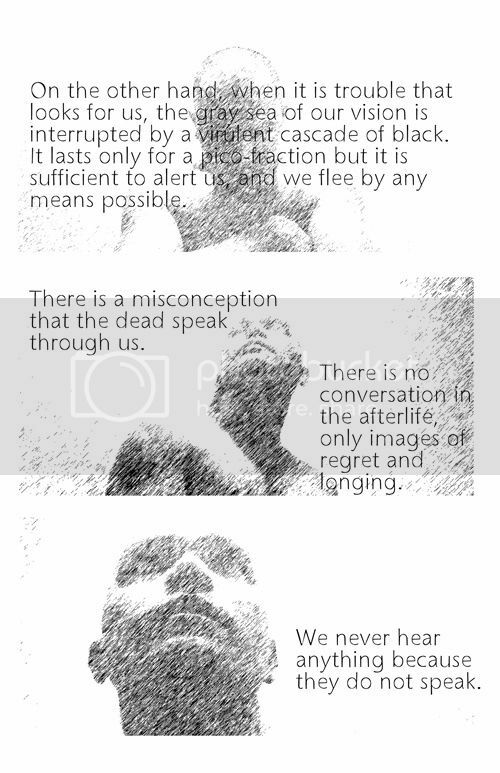 A friend texted me and urged me to submit "The Lost". I thought, "why not?" but I had a different idea for it. I spoke to Elbert Or and asked if he was interested in translating my scripts to Filipino. He said yes (And why Filipino? Why not?). My next step was to get in touch with Arnold Arre, and he too gave his blessings. So this is where we are. A pitch for "The Lost" will be developed and we'll see what happens. If all goes well, there will be a collected edition of "The Lost" by Dean & Nikki Alfar and Arnold Arre sometime in 07 or 08. If not, well, there's always hope for a windfall and self-publishing. Easily the best film I've seen this year, Happy Feet glides on the ice with amazing spec fic sensibilities, a moving theme, excellent characterization and voice acting, dazzling animation and must-buy-the-OST music. 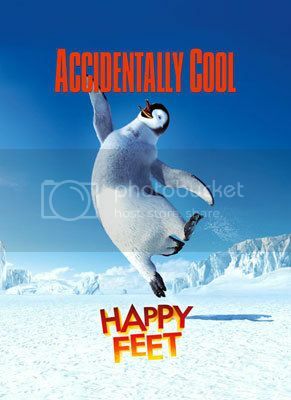 Director George Miller adds Happy Feet to Babe in terms of exploring various things that make us human through the POV of animated animals. I applaud the use of the "humans as aliens" scifi trope to underscore a serious eco message (which, surprisingly, does not burden the film). The narrative moves along nicely, insterspersed with song and dance numbers that make me want to clap my flippers above my head like the penguins. My only criticism was the somewhat "merely competent" ending (well, that and the fact that we nearly froze to death in the moviehouse - but that's not the film's fault, though perhaps we oversympathized with the movie environment). Other than that, it knocks "The Prestige" off the number one slot. Tomorrow, I'm meeting with the other judges to deliberate over the stories entered for an annual competition (sorry, can't reveal what it is yet). A pile of stories was delivered to my office some time ago and naturally I had to make time to read all of them. It's a good thing I had finished most of the other readings I needed to do because reading for a competition is serious work. I gave everything a first pass - which is a quick read to see if there was anything that immediately stood out - and began making my piles: a) looks good; b) consider; and c) wtf?. Then I read each pile again, closer and more concentrated this time, reassessed my piles and moved stories around. Then I put away pile c forever, reviewed pile b again and moved a story up to pile a. Then I rested, did other things not related to reading. Before I started reading again, I sat down with a piece of paper and tried to write the titles (or my code names for the titles I forgot) of three stories in pile a that stuck with me the most. This was my first short list. Going back to pile a, I armed myself with a pen and went through each story, making comments, correcting grammar, marking excellently or poorly written passages. Then I sat back and considered the stories again. 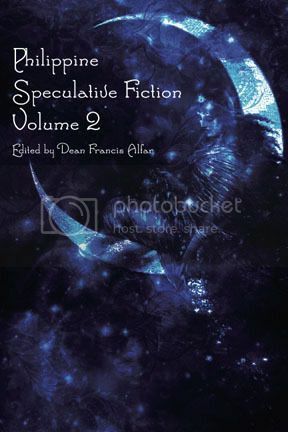 Contrary to what some people might think, it's is not speculative fiction. At least not necessarily. I am looking for a well-written story that pays as much attention to the discourse elements as to its ideas. 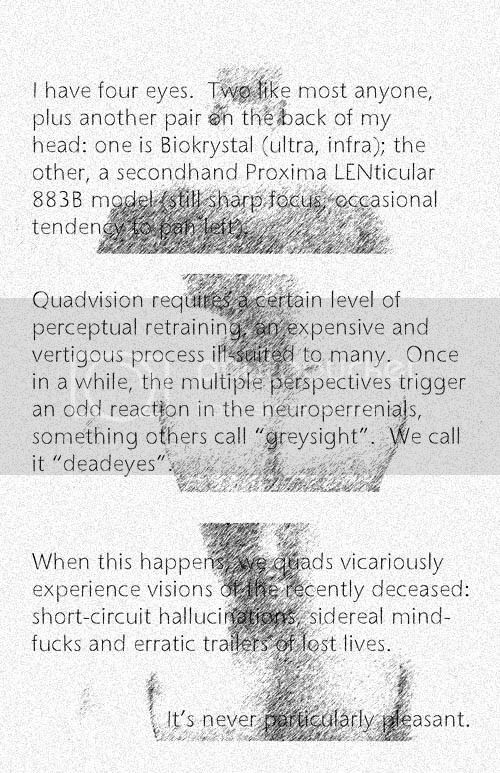 I'm looking for characterization as much as intellectual stimulation. I am looking for craft. 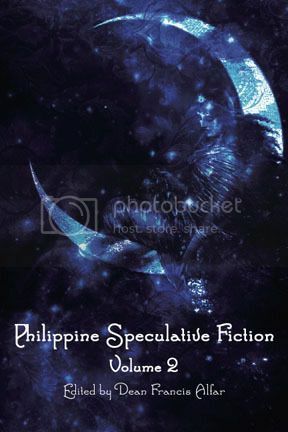 If the best story happens to be speculative fiction, then fantastic! If not, no issue. At the end of the day what matters is story. It is obvious that all of the writers are young (and I say that with no snootiness) in that there is still much of the writing craft that needs to be developed by majority of the entrants - but their combined potential is enormous. However, one particular story stood head and shoulders above the others from the get-go. It is well-written in terms of craft, has interesting characters that sound convincing in a fictive sense, and offered insight into aspects of the human condition in a manner that was not trite but rather quite engaging. Whoever wrote this story understands the structure of a short story and the elements that a short story requires to be successful. I will champion this story - author of which I have no clue - tomorrow. I am curious to see which stories the other two judges will hold close to their hearts. The deliberations are always interesting. This reminds me of when I judged for the Palancas last time(and man, the reading load was almost overwhelming), I sat down to deliberate with a short list of 4 (the other judges had 5 or 3) - and we agreed only on one entry. The rest of evening was spent arguing the merits of the other entries and what position (1st, 2nd, 3rd, Honorable Mention, or no awards) to give them. I argued for giving all prizes and recognizing at least 3 stories. One of the judges suggested giving only a 2nd or a 3rd prize, I think (unless I misremember). But more amazing (and amusing) is how we became advocates of particular entries, like lawyers fighting for our clients (each entry was blind - we didn't know the real names of the authors), championing particular entries because of a variety of reasons (including "emotional impact") and dissing each other's favorites ("how can you like that one when the grammatical errors are stunning - this is the Palancas!). Well, I don't expect to fight that hard tomorrow (unless either of the other two judges champion one particular story that I found very awkward, contrived and poorly written). I'll try to enjoy dinner instead. I'm one of the panelists at the conference on Saturday. For those who were asking, I just called the PEN office (5230870) and asked if people could attend. The lady said "Yes, if they're writers." So you decide. But if I were you, and this is something you really want to attend, just go ahead and attend, writer or no writer (but I wasn't able to ask if there's a fee involved, sorry). The overall theme of the conference is “The Ethics of Writing” which will be discussed in three panels, namely, Literature and the New Media, Literature and Human Freedom, and Literature in a Time of Repression. The Jose Rizal Lecture . The Ateneo Library of Women's Writings unveils its New Stars - The Now Generation of Filipino Women Writers on November 28th at the Matteo Ricci Hall of the Ateneo de Manila University in Quezon City. Now why is this special to me? Because Nikki is one of them. Yay! She and the other women writers will be featured in the 12th Paz Marquez Benitiez Annual Lecture & Exhibit. Krip Yuson tells me that Salamanca is one of the books from Asia that will be featured in the Asian supplement of the International Herald Tribune next month, along with work from Aimee Nezhukumatathil and other authors. Chances of my winning are very slim (see National Artist F. Sionil Jose there? See Lualhati Bautista? See Ichi Batacan? ), but what the hell - vote anyway (click on the link, scroll to the bottom, and choose which work you want - yes, just like American Idol; hmmm kantahan nalang! LOL). This is all part of the massive upcoming Read Or Die Convention, scheduled for February 3-4 in Manila. I'm trying to fatten my inventory before the year ends and managed to complete a story the other day. "On A Dim Plane", inspired by Vin Simbulan's imagination and a story by Jonathan Craig, is part mystery, love story and all fantasy. Two publications have also commissioned fiction from me, one scifi (gasp) and one lighter piece (gasp again), so we'll see how I bleed to write these before January. I haven't been able to surf much these past few weeks, but here's I site I enjoyed. Get ready to relive the good old days (or your sordid past) with Nostalgia Manila. It's 70s and 80s Pinoy Pop Culture - quite a heady mix. 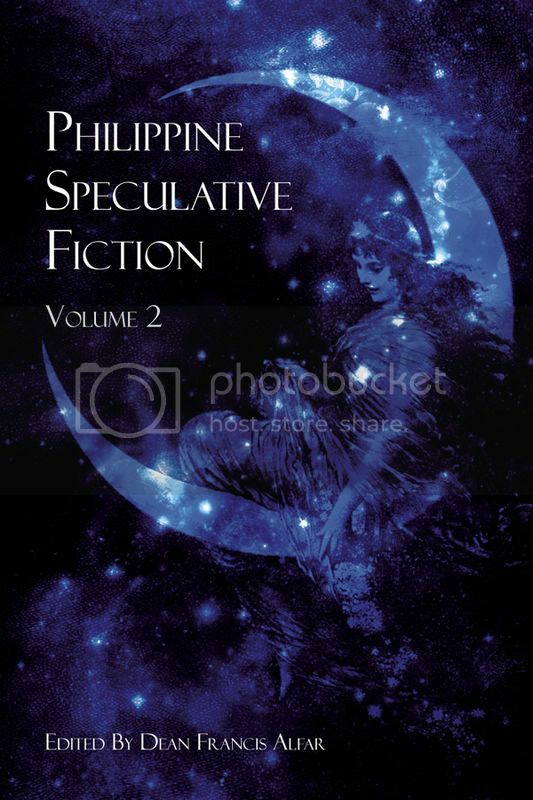 Kenneth Yu, the editor of the Digest of Philippine Genre Stories, has posted excerpts of the stories that will appear in the maiden issue of the new publication. Available next month, the first issue features stories of wonder and horror from Joey Nacino, Vin Simbulan, Andrew Drilon, Alexander Marcos Osias and myself. And to think I thought I was actually cutting down. Ladies of Grace Adieu and Other Stories by Susanna Clarke - from which, incidentally, my December copy of F&SF reprinted the Raven King story "John Uskglass and the Cumbrian Charcoal Burner"
The End by Lemony Snickett - because I need to know, after having began at beginning. But I prefer the short fiction of the guy behind Lemony. This should last me for some time. With the LitCritters, my reading has to be more expansive, and this time I looked mostly to the past. I selected a font similar to last year's design, and had the text favor the left. There's a ton of copy at the back, but it's the back so it's okay. Copies of the book will be available then. 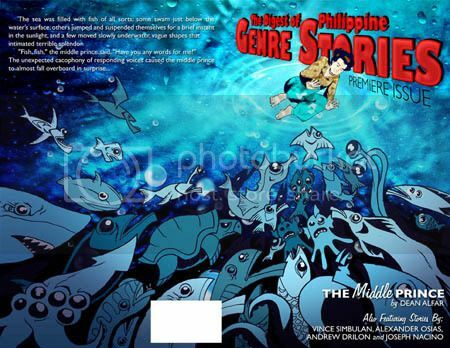 Afterwards, the anthology will be available at Fully Booked, Comic Quest and other venues. I've really been remiss in terms of blogging. Sometimes, real life just a way on taking away blogging time, what can I say? But this is still something important to me, and I still basically feel the way I did when I started: to be have a place to just write my thoughts and story exercises. It has evolved a bit since 2002 (has it really been four years? Why didn't I celebrate last September? ), becoming a vehicle for writing-related agenda, as a venue to share what I know to those who care to listen, and to remind me of how I was back then (because every writer knows that history, especially personal history, is wonderful to mine). The internet has also evolved since the days when I used Napster to stock up on obscure 80's music while Nikki and I lived in HongKong. Now there are ways to imbed video, store photos, music, you name it (nowadays, I used Ares to find music and videos and stories). to be perfectly honest, I am quite intimidated by all this technology. At its core, my blog is a very simple one, all about words. I'm scared by YouTube and all the podcasts and flashiness but can't help but be struck by a sense of wonder when I see them on other blogs. Gah. I suddenly feel like an old person, unable to keep up with technology, haha. Anyway, speaking of Youtube, here's one of Nikki being interviewed by the PCIJ last month, about being a blogger. The background is a part of Sage's bedroom. And here's one of me, taken by Manuel Viloria, during the iBlog event around six months ago. Sigh. Magalaw talaga ako when I'm a speaker - I just can't stand still. Here's one that my friend, the Komikero Gerry Alanguilan made, before and during the 2006 National Book Awards. There were two books nominated for Best Comic Book and he worked on both - Lastikman (Mango Comics) and the anthology that Vin Simbulan and I edited and put together - Siglo: Passion (Nautilus). 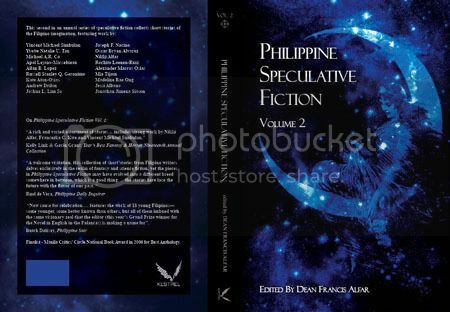 Best part for me is at the very end, when Ruel de Vera runs down the list of every writer and artist who contributed to the anthology, while Vin and I stand there nodding our heads, haha. When I figure out what I need to make a video, I plan to take one of Sage. 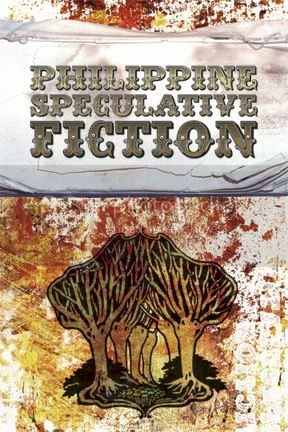 I'm not sure I've mentioned it here, but I have a story coming out in the maiden issue of Digest of Philippine Genre Fiction. The editor, Kenneth Yu, selected it as the featured story for the issue - yay! A certain kitty is also in the issue - yay! I'll let you know the TOC as soon as Kenneth announces it formally. And, incidentally, a reader reminded me that one of my stories, "Gumamela", appears at the Panitikan site. And thank you to the kind friend who faxed me a copy of the Asian Journal that selected my novel Salamanca as their Book of the Month. I'm looking at several approaches for the cover of the anthology. Here are two, the rest I'll post on Monday. Sage wrote and drew a story for Santa Claus. It began as a list of things she wanted for Christmas, written down on a scrap piece of paper. Later, I saw her looking at the paper in her hand, shaking her head. "What's wrong, honey," I asked. "It's not pretty at all," Sage replied. "It's a list," I told her. "Lists are just, you know, lists of things. It's fine, he'll read it and understand." "Dad," she said, holding up her list. "Don't you think Santa would rather have a book?" "Yes," she smiled. "A story. Then I can add my list at the end." "Well, that is clever. And I would rather read a story, if I were Santa." She brought out colored paper, glitter, glue, markers, crayons and her pair of scissors. Soon, her brow was furrowed in concentration, in the act of creation, and I could not help but smile... and offer my daughter my expertise. "Let me see what you've written," I told Sage, reaching for her papers. "Dad," she said, fixing me with a stare. "I'm not finished." So of course I read over her shoulder. I saw the words of her story lovingly illustrated with drawings and colored with all the brilliance eight markers could muster. She began by introducing herself to Santa and went on to the nested story (I'm delighted at her use of a framework literary technique!) about a little girl. "You can help with the glitter, Dad," she told me, putting some of the sparkly red stuff in the palm of my hand. "I hate glitter," I whispered sotto voce. "But I know Santa loves them," she answered, also furtively. "They're red." The next day, I took her to the Ortigas Post Office and Sage told the lady at the stamps counter that she wanted to send a letter to Santa at the North Pole. The lady looked at me. "U.S.A.?" For a moment, I wanted to tell her, no, the North Pole is not in America, but then remembered that there was actually a North Pole, USA, and that what mattered was that we mailed Sage's letter, and that Santa knew her intentions. "Twenty six pesos," she said, affixing a stamp to Sage's envelope. "Thank you," Sage told her. "You're welcome," the lady told her. Then, with a wink: "I'll make sure Santa gets it." Outside, Sage turns to me with a big smile. "Dad, the post office is so cool!" After seeing the first 5 episodes of the third season of Lost, I'm just about ready to throw the towel. Everthing that made this show compulsively watchable when it first hit the air is...lost. I was happy, sometime during season two, when the characters returned to their core characterizations, but now - well, Kate is a girly girl, which she isn't. Too many mysterious things, too little given to the viewers to understand, a whole new batch of characters (the Others) to juggle along with new faces at the old beach, plus the entire lack of a sense of alarm or truth anywhere. Sad to say, I find the experience boring. I'd rather read a book (which I should be doing anyway). I feel bad about this because I thought I was one of the show's biggest fans - but it has gotten almost masturbatory and precious. Heroes, the new series I'm watching, seems to have taken Lost as its model, but distressingly emulates some of the things that made Lost fail for me. I am dangerously close to being disengaged, since only one character (Hiro, of course) is watchable. The story arcs are not very well-written, with stilted dialogue from time to time. The sense of wonder moments are few and dar between (which works for me) but for the most part the mundane aspects of the show need to be better thought out and executed. I have seven episodes of Jericho tonight, a show of which I know next to nothing about apart from people saying its good. We'll see. Over the weekend, thanks to Dino, I whizzed through Who Want to be a Superhero(enjoyable camp) and a few eps of Andrew Lloyd Webber's new reality show How Do You Solve A Problem Like Maria? (his quest to find a leading lady for the new production of The Sound of Music - which has lots of pretty girls competing, which works for me haha). Last night, before we tackled this week's batch of stories (Edith Tiempo, Benjamin Rosenbaum, Elizabeth Bear, L. Timmel Duchamp), I gave a talk about plot. Partially to review the fundamentals we covered much earlier this year, but also to discuss the statement that every writer hears eventually: there are no new ideas. Of course, this needs to be qualified. There are always new approaches, new treatments, new textures and such, but basically the thought is more this: there are no new plots. Plot is what happens in a story (while structure is the order in which the plot is presented). What these authors and thinkers are saying is this: we've seen it all before. And yet there are always new stories, aren't there? That's because while the plots may be same-old, same-old, the approach (or discourse) is different. This is where the writer's craft and imagination come in. So if these plots are finite, what are they? Are they helpful to the writer? I think they're more helpful to the literary critic than an author, but it does pay to at least know what people are talking about - and add the notions to your writer's toolbox if you find them useful. Some say there is only one plot in the universe: Conflict. A story - all stories - must have some kind of conflict - overt, covert, physical, emotional, spiritual, what have you. It is an umbrella term that is hard to argue against, but once you start thinking of exclusions, you're on to something. I consider "nature" the natural order; and "the environment" as encompassing not just the obvious (surroundings), but also manmade constructs (language, society, art). Which of course opens the entire thing to overlaps, but what the hell. It was a raucous time and set the mood for our discussions of the four stories on the table - and gave us more insight into this process we call writing.